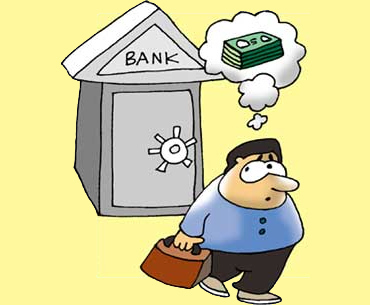 Will the Financial Resolution and Deposit Insurance Bill endanger our bank deposits? The proposed Financial Resolution and Deposit Insurance Bill would not worsen depositors' plight from what is currently with the present protections in place, say bankers and experts. Some commentators have suggested that the Bill, currently being examined by a Joint Parliamentary Committee for tabling in the winter session of Parliament, would take depositors' money to bail out banks and therefore, deposits are not safe. Under the Bill, there is a concept of 'bail-in', which would mean the bank's own money and that of depositors can be used to bail the lender out, instead of waiting for the government to pump money into it. But bankers say under the present dispensation, deposits up to Rs 1 lakh is always insured by banks, and the Bill is not going to change that. "Since the amount is insured, if a bank fails, that would have to be serviced anyway. It has nothing got to do with the Bill," said a senior banker with a public sector bank. Under the present system, a resolution corporation would be set up that would decide on how the claimants, including depositors, would be paid at the time of liquidation of a bank or financial institution. The draft Bill is also clear about the payment aspect to depositors. The Insurance Fund shall be utilised by the corporation for 'payment of the specified amount or amount due, whichever is less, to a depositor of an insured service provider in respect of his deposit, in case of its liquidation'. Beyond that, the corporation will set out modalities by which payments have to go through. For example, in case of liquidation, the corporation may offer depositors some preferential shares. This, then, is an additional improvement over the extant system. In reality, no scheduled commercial bank has caused depositors to lose their money so far. In the past, there were cases of banks being in stress, in which the Reserve Bank of India forced those banks to merge with stronger banks. Such examples include Global Trust Bank, United Western Bank and Bharat Overseas Bank. "Bail-in only means that when an institution fails, somebody will have to take a hit. Every time the government cannot do so. But even today, if a bank fails, depositors will not get their full money," said a senior public sector banker. According to Abizer Diwanji, head of financial services at EY, the Bill only shows how a financial institution has to be wound up in a particular manner and there is nothing to be alarmed about depositors' money. The Bill is necessitated because financial firms cannot be liquidated under the same rules as the Insolvency and Bankruptcy Code meant for corporations. How safe is your money at banks and stock exchanges? Insuring your home is a MUST!